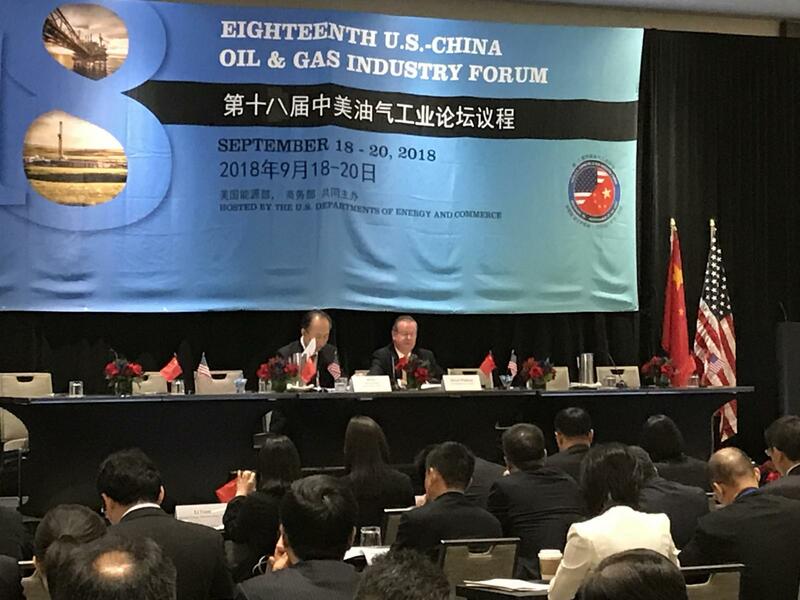 Houston—The U.S. energy industry is open for business and expects a strong long-term energy relationship with China, U.S. Energy Department Assistant Secretary for Fossil Energy, Steve Winberg, told U.S. and Chinese oil and gas executives in Houston on Wednesday. Against the backdrop of what executives hope is a short-term trade disagreement, Winberg told the 18th Annual U.S.-China Oil and Gas Industry Forum (OGIF) that the U.S. has never revoked an LNG export authorization, nor plans to. The U.S. has become the world’s largest oil and gas producer, and our industry can supply a growing energy demand in China, he told the Forum. The U.S. Energy Association, with the U.S. Energy Department, Department of Commerce, and the U.S. Trade and Development Agency, brought together hundreds of U.S. and Chinese oil and gas executives from across the supply chain to discuss supply/demand realities and ways both countries can cooperate to meet a growing global energy demand. USEA Executive Director Barry Worthington echoed Winberg’s sentiments. He told Chinese oil and gas executives this week what he told China’s state-owned and largest oil and gas producers last month—the U.S.-China energy relationship is symbiotic and for the long-term. “The U.S.-China energy relationship is symbiotic, and cooperation on energy is likely for the long term, despite short-term trade issues to course correct our global trade deals. “President Trump’s efforts to improve our trade deals strengthens our energy and national security. As the U.S. becomes a larger world supplier, especially for our oil and gas resources, and as we become less reliant on other countries for our energy and technology, our negotiating power on other issues of national interest increases.